It is not surprising that our pleasure-obsessed culture would find this unusual, nor is it surprising that latent anti-Catholic tendencies in the culture would cause people to read it in a negative light—as something shocking or repulsive. So what can we say to those who have this kind of reaction? Let’s start with what we can say to fellow Christians (Catholic or not) who find themselves thinking this way: While not every person is called to the kind of self-mortification that John Paul II practiced, self-mortification is part of the Judeo-Christian tradition with roots going all the way back to the Bible, both Old and New Testaments. We read in the Old Testament, for example, of people fasting, wearing sackcloth (which abrades the skin; the Old Testament equivalent of a hairshirt), putting ashes on their heads, and lying tied-up in uncomfortable positions for long periods of time (Ezekiel 4:4-8). In the New Testament we also read of such practices, and of particular note are Jesus’ own remarks about (and personal practice of) fasting. If Our Lord himself practiced fasting, then self-mortification could scarcely fail to find a place in Christian spirituality. Note also that in the Sermon on the Mount he doesn’t say “if” you fast but “when” you fast—implying an expectation of his followers. Once we have recognized this, the issue of self-mortification becomes one of degree and occasion, for the fundamental principle has been established. If a particular Christian’s faith tradition (or personal view) hasn’t made room for self-mortification then he needs to conduct an open-minded re-examination of the issue. He might be helped in that re-examination by what we can say to a non-believer, which goes beyond establishing that self-mortification is biblical and deals with the underlying principles. The first thing to point out is that this isn’t masochism. It’s not the case of wanting the pain out of some sick craving. While there are masochists, anything they do along these lines is not a genuine spiritual exercise. The whole point of self-mortification is that you don’t find the pain attractive but are willing to submit to it anyway for a higher goal. And the non-believer, unless he is a unthinking hedonist, should be able to acknowledge that it can be legitimate to endure pain for a higher goal (i.e., that there can be higher goals in life than just avoiding pain). For example, the pain that soldiers undergo to defend their country, the pain that parents undergo to help their children, and the pain that absolutely all of us must shoulder in order to achieve important goals. 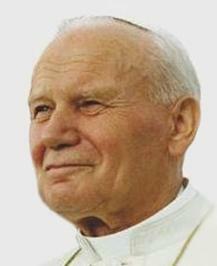 So what goal was John Paul II, and other practitioners of self-mortification, striving for? Specifically, virtues like humility, compassion, self-control, the ability to say no to your body in the pursuit of a spiritual goal. A close analogy is the athletic saying, “No pain, no gain.” In order to get your body in shape, you must be willing to endure some hardship, and the same is true of your soul (or your personality if the person doesn’t believe in souls). Self-mortification teaches humility by making us recognize that there are things more important than our own pleasure. It teaches compassion by giving us a window into the sufferings of others—who don’t have a choice in whether they’re suffering. And it strengthens self-control. As well as (here’s the big one I’ve saved for last) encouraging us to follow the example of Our Lord, who made the central act of the Christian religion one of self-denial and (in his case) literal mortification to bring salvation to all mankind. Even if a non-believer doesn’t buy the religious premises involved, he should be able to see the nobility of the principle of shouldering hardship for the sake of others and for the sake of learning virtues like humility and compassion rather than focusing exclusively on one’s own pleasure. Hopefully he can see why a pope, as the vicar of Christ and as the leader of the Christian world, would be called to personal mortification in a way that goes beyond what most people are. NOTE: Any form of significant self-mortification must be done under the guidance of a competent spiritual director. Do not try this at home on your own.